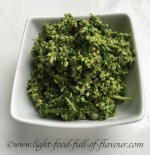 The things that come under my salsa and sauce recipes - including savoury jams and hummus - are the kind of little dishes that can elevate a more humble ingredient into something sublime - or simply add another level to something already very tasty. A sauce can be as easy as mixing together 100ml of natural yogurt with 100g of crumbled feta cheese, a crushed garlic clove and some salt and pepper. This sauce is great to eat with lamb, like my Lamb and Beetroot Burgers. It is equally good to eat with some vegetarian dishes and can also be used as a salad dressing. 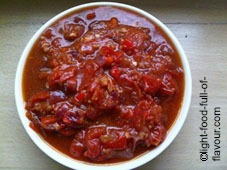 Don't miss my oven-roasted tomato sauce – a sauce that is both incredibly tasty and amazingly versatile. 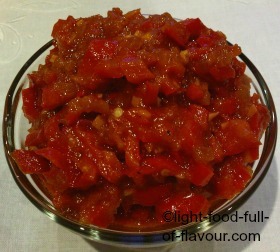 This hot&tasty tomato chilli jam can make the most humble vegetable start to sing and dance and can jazz up many a different dish. 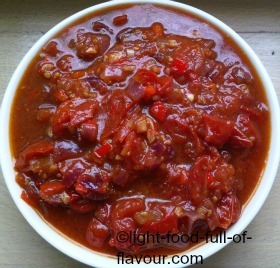 This is a sweet chilli sauce that contains very little sugar but tastes absolutely amazing. 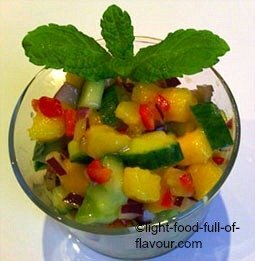 A mango salsa that's so incredibly tasty and fresh whilst also low in calories and healthy. It's perfect to serve with Asian-style food. 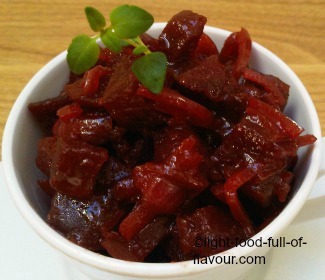 An amazingly tasty beetroot jam which is only sweetened with a little bit of honey. 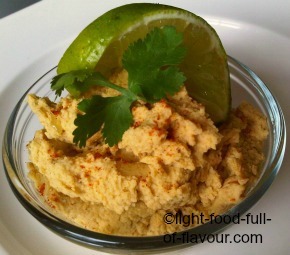 This is my healthy and really tasty recipe for hummus. 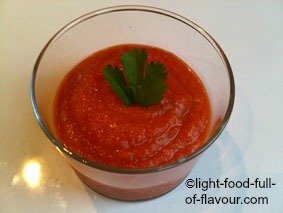 This is a really delicious red pepper salsa (bell pepper salsa) that will add pizzazz to a lot of different dishes - or serve it as a dip with toasted pitta bread. 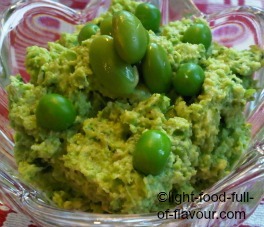 A tasty and healthy, green broad bean hummus (fava bean houmous) with peas and feta cheese. 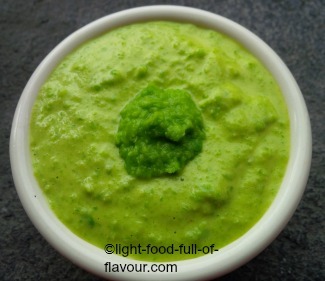 This very tasty pea aioli is great to serve together with things like prawns, scallops, asparagus and other vegetables. I love hummus. 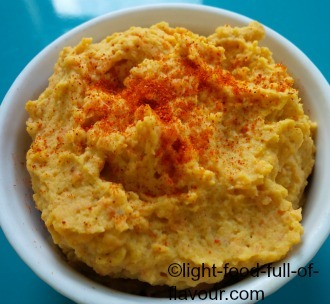 This roasted carrot chickpea hummus with garlic and spices is both tasty and healthy. TIP! Some of these recipes are for things that are great to have in the fridge or the freezer when you are short of time or simply too tired to cook anything complicated. Chop up some vegetables and roast them in the oven together with some nice sausages – quick and pain-free. And when you eat it together with a tomato chilli jam that you made before, this becomes an easy and mega-delicious meal. Or you could smother salmon fillets with a homemade sweet chilli sauce and bake the fish in the oven together with some juicy tomatoes. And while the fish is in the oven, steam or boil some green vegetables, like broccoli and green beans. Not only will you have made a super-tasty meal in no time at all, it’s also very healthy.